1. DUCKBACK DB-2001-5 CEDAR PRESSURE TREATED TRANSPARENT STAIN SIZE:5 GALLONS. 2. DUCKBACK DB-2001-4 CEDAR PRESSURE TREATED TRANSPARENT STAIN SIZE:1 GALLON. 3. DUCKBACK DB-2010-5 NATURAL PRESSURE TREATED TRANSPARENT STAIN SIZE:5 GALLONS. 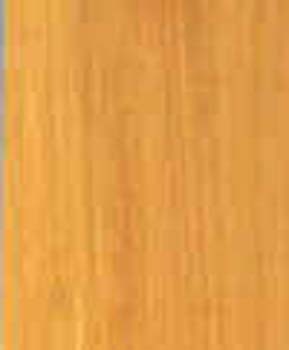 DiscountPaint.net :: MANUFACTURERS :: DUCKBACK :: DUCKBACK DB-1902-4 RED CEDAR EXTERIOR TRANSPARENT STAIN SIZE:1 GALLON. DUCKBACK DB-1902-4 RED CEDAR EXTERIOR TRANSPARENT STAIN SIZE:1 GALLON. Highlight the natural beauty of wood decks and siding with Superdeck Exterior Transparent Stain and Sealer DB 1900. Gives superior wood protection with Linseed and Tung Oils, with transparent oxide pigments for long lasting UV protection. NO OTHER exterior wood stain offers the beautiful sheen and durable protection of Superdeck. Superdeck’s three oil finish contains Linseed and Tung oils that offer superior durability that enhances the natural beauty of real wood, while protecting against harsh elements that can fade and damage exposed wood. SUPERDECK contains the highest quality transparent oxide pigments to keep your wood looking like new with long lasting color and UV sun protection. Superdeck’s high solids oil based formula penetrates deep into the wood’s surface to lubricate and strengthen wood and form a superior water barrier. ONE COAT of Superdeck is all that is needed for new wood-saving you time and money. Superdeck is professional grade with satisfaction guaranteed every time. TRUST the brand that is the professional choice-Superdeck! WHERE TO USE: Use on decks, siding, fences, shakes, natural wood and log homes, outdoor furniture, gazebos, spa cabinets, pressure treated and other exterior wood surfaces where it is important to enhance and protect the wood's beauty. MODERN MASTERS 99813 VP-300 VENETIAN PLASTER SATIN TOPCOAT SIZE:1 GALLON. UGL 31441 ZAR 314 GOLDEN OAK WOOD PATCH SIZE:3 OZ. ALLWAY FE-2 1-1/2" 4 EDGE SOFT HANDLE WOOD SCRAPER PACK:5 PCS. SAVOGRAN 02114 KUTZIT SIZE:5 GALLONS. GUARDSMAN 3025 LEATHER CLEANER/CONDITIONER SIZE:6 OZ. INSLX RP-2720 BLACK RUBBER BASED POOL PAINT 340 VOC SIZE:1 GALLON.